Very few ensembles specializing in early music can display a level of artistic mastery akin to that of the Berliner Barock Solisten. Founded in 1995 by Rainer Kussmaul and other prominent members of the prestigious Berliner Philharmoniker, the musicians and their director (as first among equals) have created a unique approach to performing works of the 17th and 18th centuries. The 'Berlin Baroque Soloists' not only do justice to their name (each musician is a master soloist), they also play on historic, though modernized, instruments, using bows from various periods, depending on the work being performed. This flexibility, along with the homogeneity with which the ensemble plays and the presence of leading soloists from the 'early music scene' within its ranks, is virtually unparalleled internationally. With historical discernment, the old is treated to a fresh hearing, to fresh thinking. The result is a modern interpretation, but without 'modernization'. 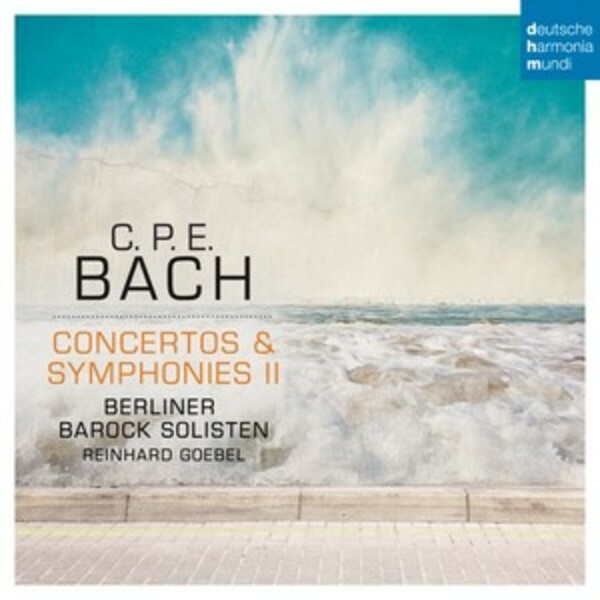 This brand new album recorded in the Philharmonie Berlin�s �Gro�e Saal� is the second in the series of CPE Bach albums from the Berliner Barock Solisten, and presents two of the composer�s symphonies and two concertos. Carl Philipp Emanuel Bach was the fifth child and second (surviving) son of the famous Johann Sebastian Bach. He was an influential composer in his own right, working at a time of transition between his father's baroque style and the classical and romantic styles that followed it. His personal approach, an expressive and often turbulent one known as empfindsamer Stil or 'sensitive style', and his music has an abiding quality so untypical of the 18th century in that it is �good, original and shockingly modern" (Reinhard Goebel).